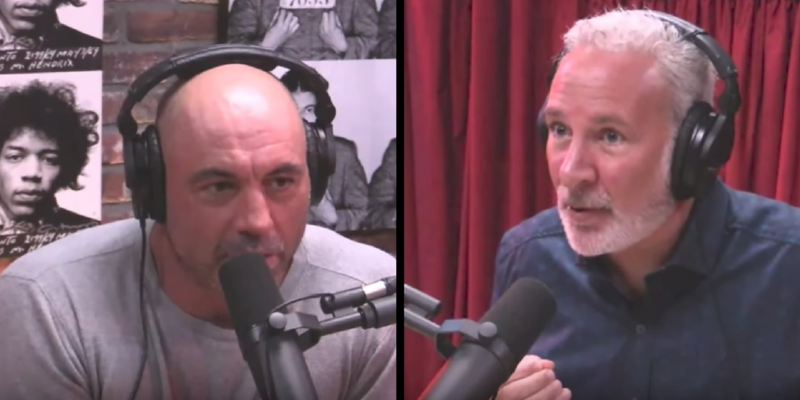 Last week on the Joe Rogan Experience Episode 1002 Peter Schiff and explained to Rogan and his audience how Capitalism through competition equates to innovation and freedom and Government central planning to less innovation and progress. One of the quotable moments from this show was from Schiff, “I’d rather have no taxes and not vote, than to vote on who taxes me.” Schiff discussed his sympathy for the Occupy Wall movement’s misplaced blame, Bitcoin, and the current political climate. Both gentlemen discussed how the free market market gets a bad wrap because of a lack of education the benefits of free market competition. Follow Like A Libertarian on Twitter.